Nokia is now among those ‘few’ smartphone manufacturers that provide Android updates to their phone fast. The Nokia 8, which is the company’s flagship of last year, got the Android Oreo 8.0 Update back in November last year and the users got the Android 8.1 beta this year in January. 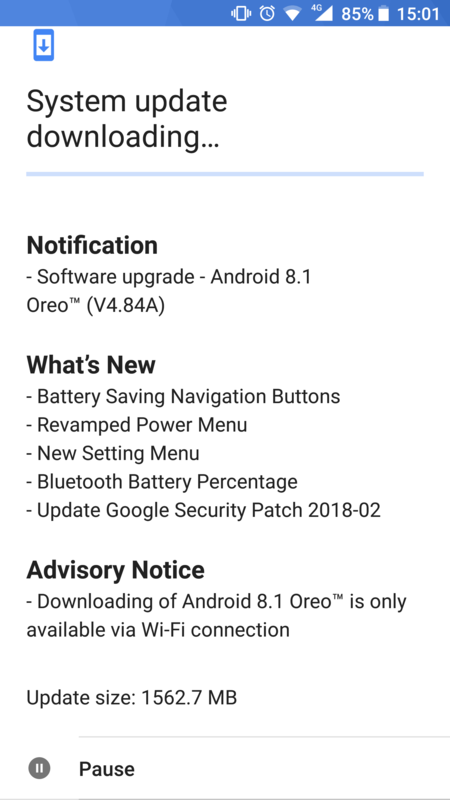 From today, the stable Android 8.1 Oreo is rolling out for everyone. The Chief Product Officer of HMD Global, Juho Sarvikas, officially announced this rollout on Twitter. Nokia 6 and Nokia 5 got the Oreo update last month, and the 8.1 Oreo will be arriving for them pretty soon. Same is the case for other Nokia phones as all are going to get the Android Oreo update. As the update has a large size, it is adviced that use WiFi for downloading and while installing, make sure to have enough juice in your Nokia 8.